ANDREW HEANEY pitched seven strong innings as the Angels beat the Blue Jays 2-1 on Friday (Angels photos). For once, the Los Angeles Angels got outstanding starting and relief pitching in the same game and defeated the Toronto Blue Jays 2-1 Friday night in Anaheim. It was the team’s third straight win. 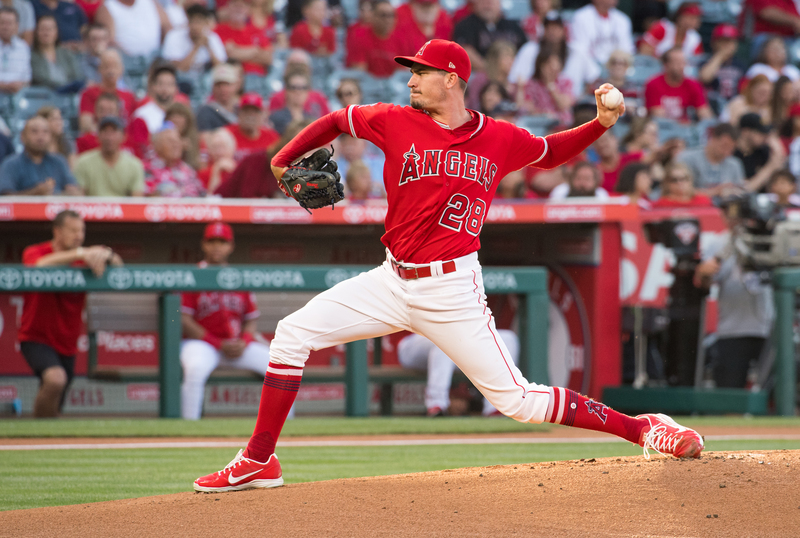 Andrew Heaney worked seven strong innings, giving up just one run and nine hits. The Angels scored twice in the first on runs driven in by Albert Pujols and Luis Valbuena. Heaney had a shutout into the seventh, and then yielded one run. Cam Bedrosian and Blake Parker worked the final two innings, giving up no runs or hits. The Angels, now 41-35, will send Jaime Barria (5-3) to the mound on Saturday against Marcus Stoneman (0-5) for the Jays.